Still, even though the nights are cool and the sun is going down earlier and earlier, the changing leaves make it very beautiful outside. While I was outside I decided I needed to use some of those pretty leaves and make something with them. So, I came up with this very simple and very quick project for today. 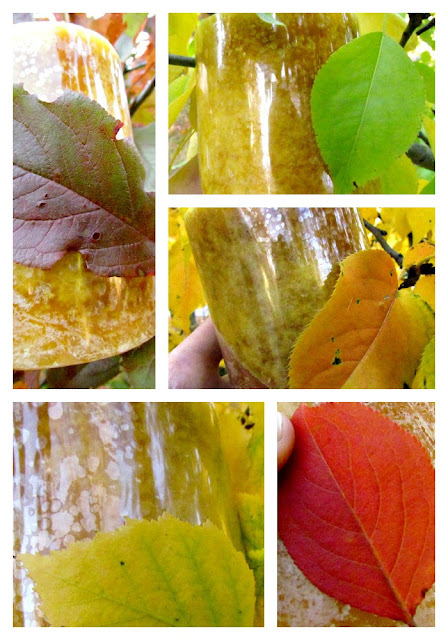 Before I even gathered my supplies, I took my candle outside to see which leaves would be the perfect leaves to use. Soooo many colours to choose from! 1) Turn on your iron and while you're waiting for it to heat up remove any wrapping on the candle. 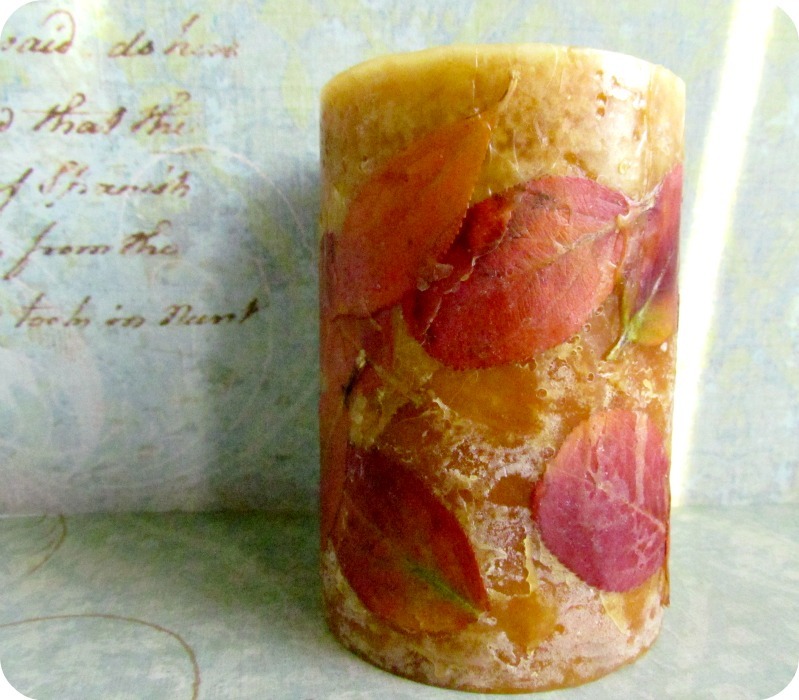 Then lay a small sheet of wax paper down on a flat surface and place your candle on top. You can start to decide the placement of your leaves. 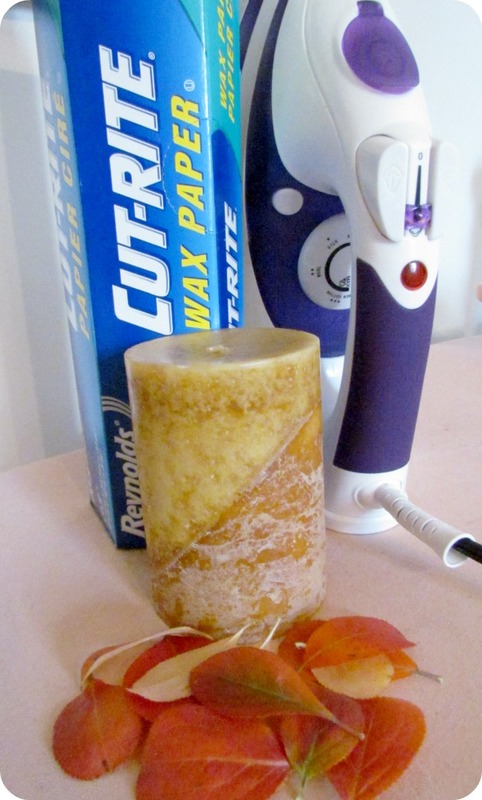 2) Wrap the wax paper around the candle, covering the leaves, and then gently use your iron to heat up the wax and melt the leaves into the candle. 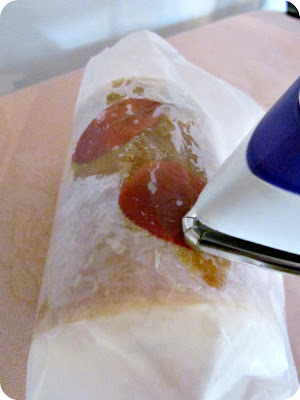 **Note: test your wax paper first to see if there's a right and wrong side so that you don't leave wax residue on the bottom of your iron. You don't have to leave your iron on the paper for very long. You'll see the wax melting. Just gently rub the iron around. 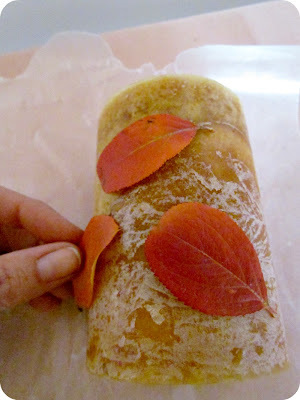 Lift the wax paper up and place some more leaves down. Repeat the process until your candle is filled and you're happy with how it looks. I really love how this adds a little bit of character to an otherwise plain Jane candle (no offense to any Jane's out there). What a great idea...so simple too!! I'm pinning it to my fall fun baord! I guess I am a Fall kind of gal, but the word Autumn has such an appeal to it. Love this candle idea especially since it uses my favorite DIY material - waxed paper! Can you use the candle with the leaves in it? Or is it strictly decorative? This looks so simple I think maybe even I could pull it off. I might make one and send it to my mom. She will be shocked to receive a homemade craft from me. Thanks for the idea. That's such an awesome idea. I would never have thought of it. So beautiful, fun and simple! Love it Tamara.Thanks for sharing! I love it. Absolutely love it. I visit from@linesacross and your thumbnail just made my eyes stop. The pictures are amazing also. Gorgeous candle Tamara! 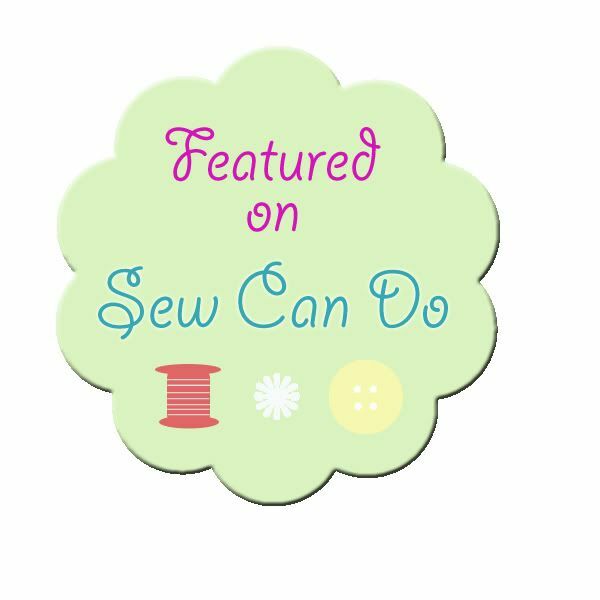 And it sounds so simple to make with the iron! I say Autumn (having grown up in England) - I think Fall is more American - but here in Australia we say both!! This is amazinggggg. Thanks so much for sharing!! I'll be dragging my 2 year old to the store today to buy more candles for this project. Beautiful! I love the fall leaves (which we aren't getting down here in southern California) and such an easy way to "fall up" a candle! Thanks for sharing! This is an easy way to dress up a candle. love it. What a GREAT idea! I live in the UK and we always call it Autumn, although personally I like the word 'fall' it describes this time of year perfectly. Off to decorate some candles! 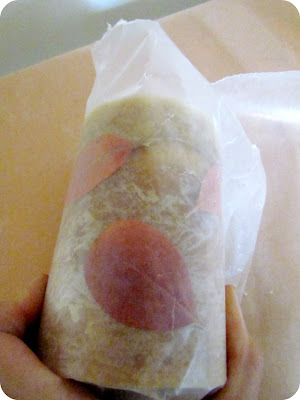 Love this idea, I must look into getting wax paper, it isn't readily available here. 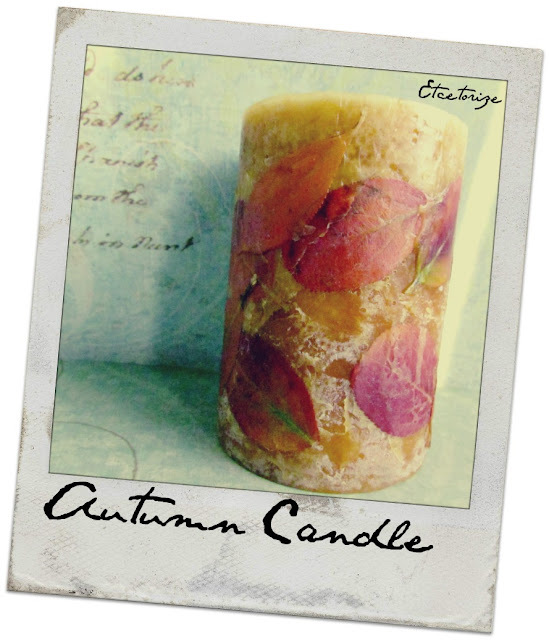 Would love to give this candle a try, perhaps next Autumn as we are in Spring now. I had though Spring blossoms would work too but I think I am a little late for blossoms.